Turning an estate into something a bit more rugged and useful seems pretty straightforward. 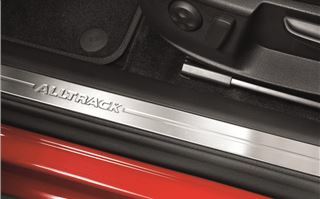 You basically take your standard car, jack up the suspension and fit it with four-wheel drive. Finish it with some extra body cladding including underbody protection panels and Gerhardt is your Onkel as the German’s might not say. It’s a formula that has worked for Audi with its allroad models and even Skoda has got in on the act with the Octavia Scout. 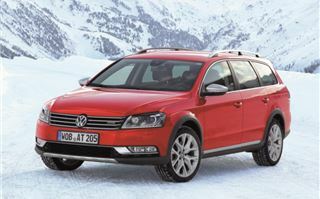 So not to be outshone, it’s Volkswagen’s turn with the Passat Alltrack. In fact it’s surprising the company hasn’t done this before. The Alltrack is essentially the latest Passat Estate with 4MOTION four-wheel drive and a 30mm higher ride height, to make it more capable on rough roads and perhaps even the odd farm track you might venture down. 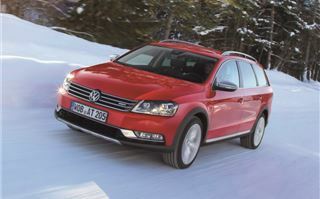 As well as the increased ground clearance it gets an off-road mode, similar to the one in the Tiguan Escape. This has hill descent assist which automatically brakes the vehicle when you’re going downhill (if it’s steeper than 10 degrees) plus it alters the ABS so it’s better when braking on loose surfaces. So while it’s no full blown 4x4 it’s still pretty capable on rutted lanes or gravel tracks. You’re unlikely to go properly cross country in it but that’s not really what it’s designed for. 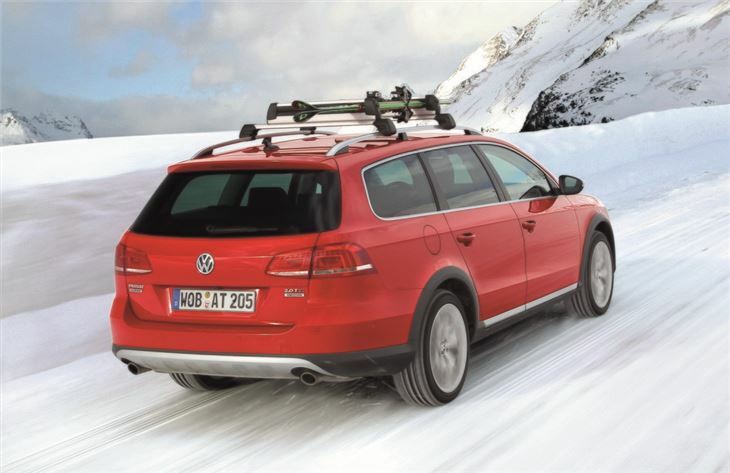 However if you live off the beaten track or in a fairly rural area, the extra traction of four-wheel drive and the better ground clearance means you’re a lot less likely to get stuck where others would. If need be the 4MOTION system will send 100 per cent of the engine power to the rear wheels to help get you out of tricky situations. 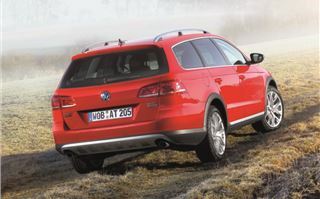 It’s a good tow car too and can pull 2000kg which is more than an equivalent Passat Estate. 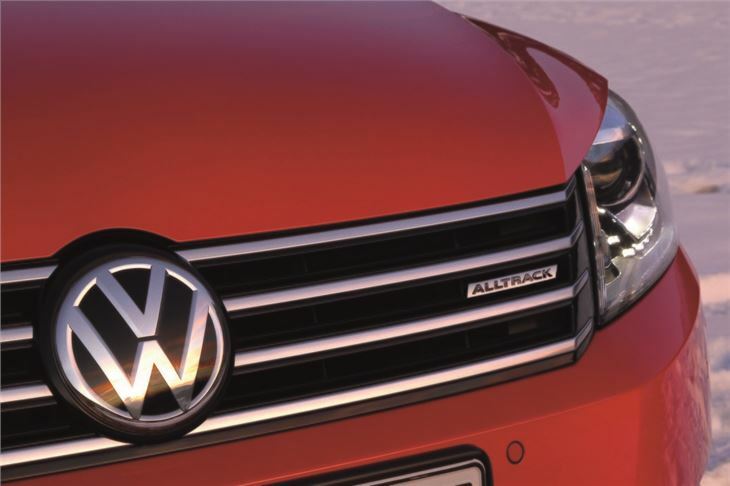 There are just two models to choose from, both fitted with the trusty 2.0 TDI engine. 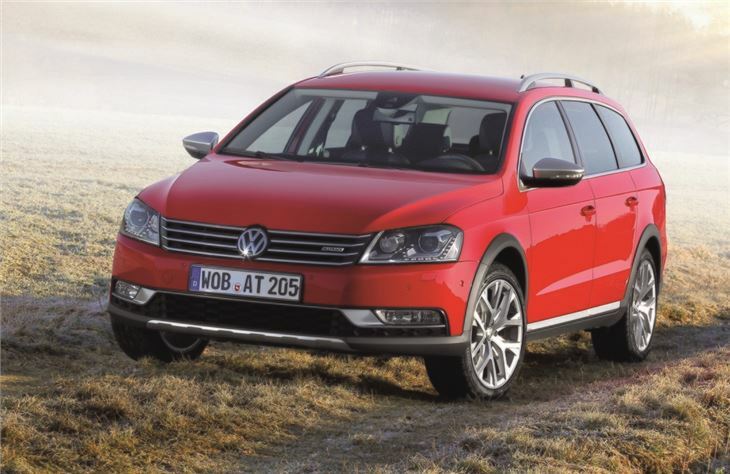 The 140PS model comes with a six-speed manual gearbox while the top 2.0 TDI 170PS gets a six-speed DSG automatic as standard. The common rail TDI unit is quiet enough and has decent torque with 320Nm and 350Nm for the two respectively, so it pulls well enough in-gear. 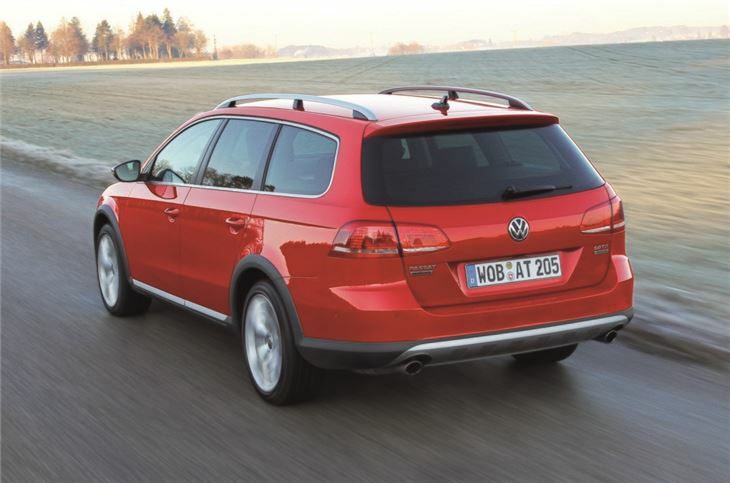 Both models are economical too with claimed figures of 49.6mpg and 47.9mpg. The changes aren’t just underneath though. 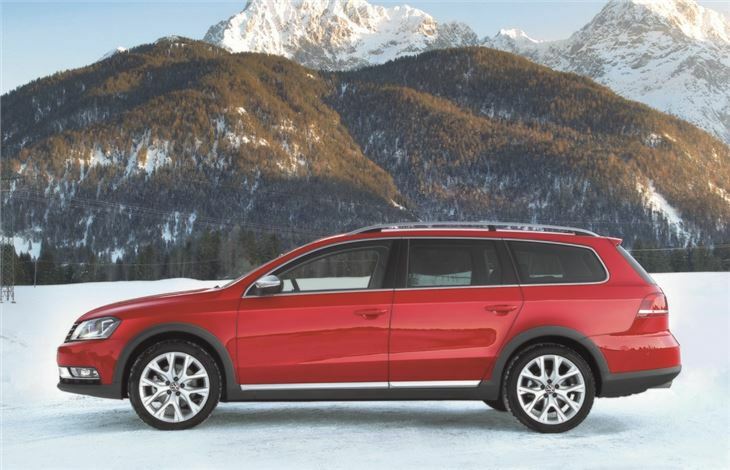 To add to the outdoorsy image, Volkswagen has given the Passat Alltrack some extra bits on the outside. There’s black plastic cladding on the wheelarches and bumpers, chrome roof rails plus the obligatory front and rear underbody protection panels in a nice stainless steel look. 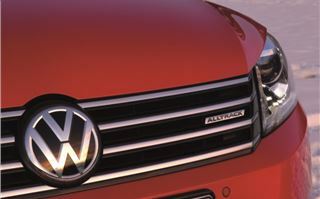 It’s fairly subtle and actually works very well on the Passat, especially in contrast to a strong colour like red. Apart from that it’s pretty much business as usual and that’s also the case inside. 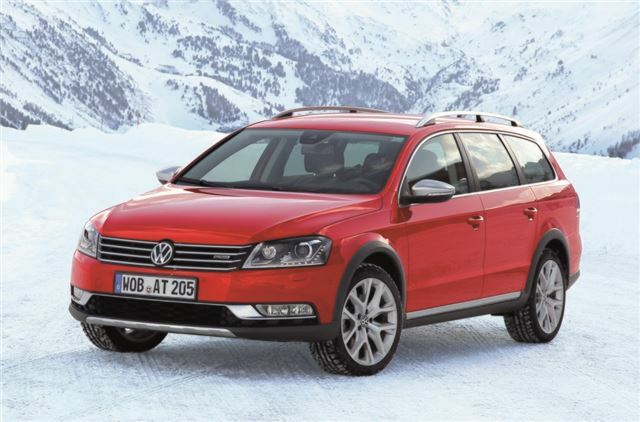 Aside from the Alltrack name emblazoned on ashtray, it’s like a standard Passat with an interior that’s comfortable and well finished. 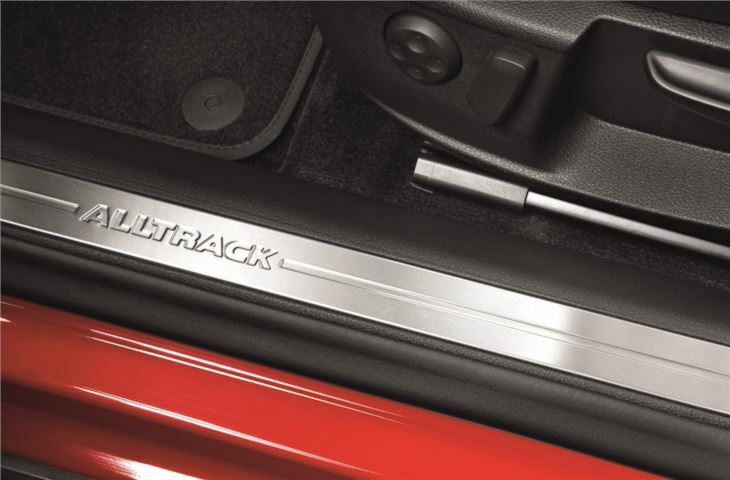 It certainly feels like a quality product and comes well equipped with Alcantara seats, two-zone climate control and a touchscreen sat nav system with Bluetooth all as standard. 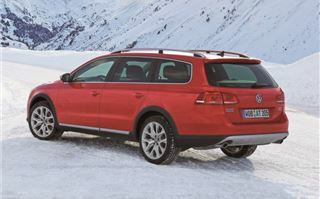 It has the same 603 litres of bootspace as a normal Passat Estate plus it gets a space saver spare wheel rather than the less than handy can of foam sealant that’s commonplace now. 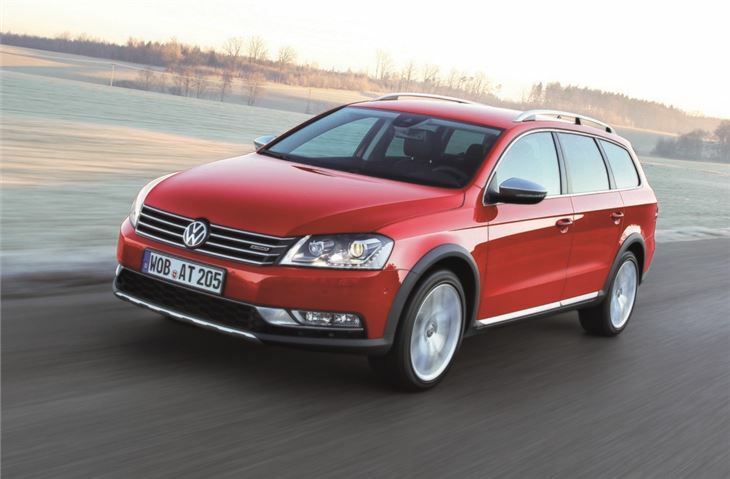 Unsurprisingly, driving the Passat Alltrack is very much like driving a Passat. In normal driving the 4MOTION system sends 90 per cent of its power to the front wheels, which saves on fuel and means that it’s essentially a front-wheel drive car. 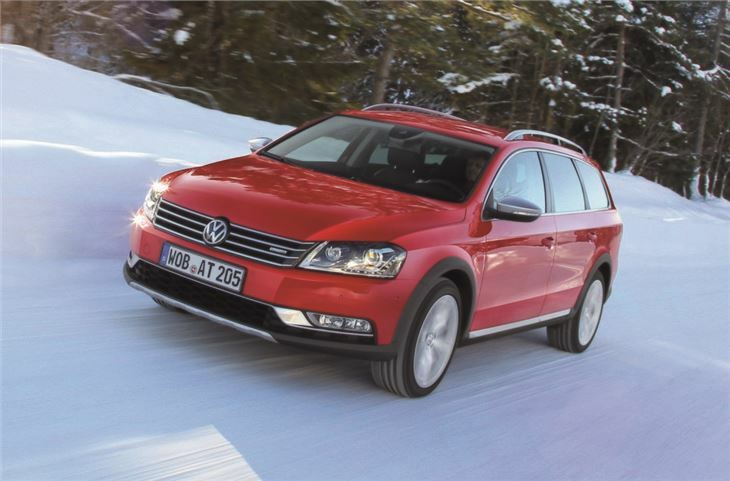 The steering is a little over assisted, but the Alltrack handles well enough in corners and despite the raised suspension there's little bodyroll and good front end grip. Sitting at motorway speeds it’s quiet, refined and all very civilised. The Passat Alltrack has plenty going for it but one sticking point may be the price. 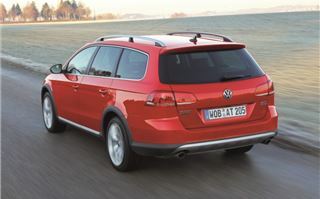 It's expected to start at around £28,500 but the 170PS version with the DSG gearbox is likely to be more than £30k. That's not far short of an Audi A4 allroad with the 2.0 TDI 177PS engine that costs £31,375 while a Skoda Octavia Scout 2.0 TDI 140PS is less than £23k. 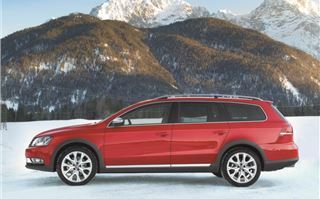 Like the Alltrack both are 4x4s with raised ride heights. 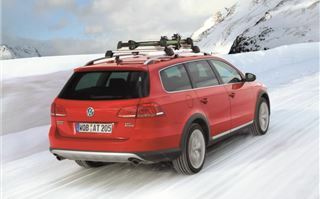 That said the Alltrack is a good package and one that makes plenty of sense if you regularly have to venture onto rough roads or do lots of towing. Our test route took us up into the Austrian Alps in winter with plenty of snow and ice to negotiate and here it dealt with everything that was thrown at it with no problems. If you don't want a full-sized 4x4 like the Touareg but need more than a normal estate, the Alltrack could be the perfect compromise. 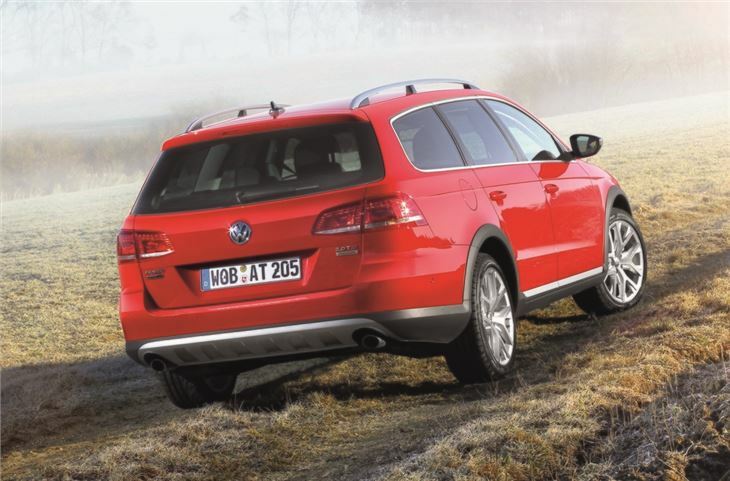 Improved 2.0 litre flat four diesel engine, four-wheel drive as standard, large boot area.